Dr. Tom Francescott explains Bio Identical Hormones + their health benefits. Dr. Tom Francescott, ND is a doctor, teacher, lecturer, and workshop leader specializing in helping people transform their lives with authentic and personalized natural health care solutions. 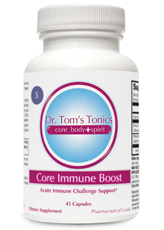 Creator of the “Core Foundation” program, Dr. Tom uses a scientific approach to total wellness by pre- selecting a combination of Dr. Tom’s Tonics and other expert formulations. The Core Foundation program supports and builds your body’s health from its core, at a cellular level, for optimum wellness. Each Core Foundation combines Functional Foods, Probiotics, Oils, Multi’s, and Specialty products for a complete program and the best results- guaranteed. Hormones are the chemical messengers in the body that travel the bloodstream to the organs and tissues. Bio-identical hormones have gotten a lot of press lately especially with Suzanne Somers promoting them. Bioidentical hormones are made in the laboratory and are based on compounds found in plants (usually soy beans or wild yams). After the plant-based hormone is processed, its structure is said to be identical to the estrogen, progesterone, or testosterone hormone your body produces. A compounding pharmacist can offer you a custom-made formulation in one of many forms, such as a capsule, skin cream or gel, tablet to dissolve under your tongue, suppository, or nose spray. Some commonly prescribed estrogens and progesterones are bioidenticals, such as Estrace (estradiol). The Women’s Health Initiative found that long-term use (five or more years) of hormone replacement therapy combining two hormones, estrogen and progestin, increased women’s risk of heart disease, stroke, blood clots, and breast cancer. 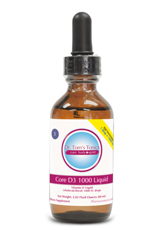 Naturally safer alternatives have emerged and bio-identical hormones are considered one of these. Many women use them around peri-menopause or after menopause to stabilize and increase hormone levels. To me any hormone has risks. But certainly finding hormones that actually mimic the same structure as the hormones that the body naturally manufactures just makes sense to use rather than a hormone like Premarin that is made from horses. Premarin does not match the hormone structure that we have in the body. When the body has these types of hormones, it has to process and metabolize them and it doesn’t know what to do with them. It makes sense that something similar to what the body is used to would be easier to break down. Many women come to see me because they are concerned about even bio-identical hormones. Maybe they have a family history of breast cancer and are not sure that they are safe. Many times I tell women that sometimes the levels of hormones are fine but they are deficient in adrenal hormones or that there liver is congested and these are the causes for hormone imbalance. Often the levels are fine, it’s just the rest of the body needs support to metabolize and bring the hormones into balance. The liver is very important when it comes to hormones. My approach with hormones is to air on the side of caution and do the least and safest intervention as possible. Starting with dietary changes, key nutritional or herbal supplements, and stress management, if often enough to make major changes in the body. Once a good foundation is established then more specific hormonal support can be added to it and gradually the hormones can be balanced. 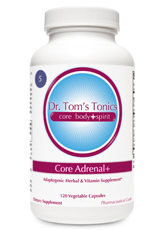 Learn more about Dr. Tom’s Hormone Core Foundation and shop for natural Bio Identical Hormones.